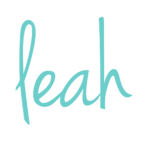 Are you ever in a situation where someone asks you what you do and either you or they say or imply that you’re JUST a mom? Just is a weirdly powerful word. By putting it in front of something that makes us, defines us, is part of our fearfully and wonderfully made-ness, JUST diminishes the uniqueness, the specialness of that characteristic. It manages to make us feel badly for this truth about us. We have to stop letting others and ourselves rob us of more of fearfully and wonderfully made-ness by using the word JUST in front of the things that make us up. 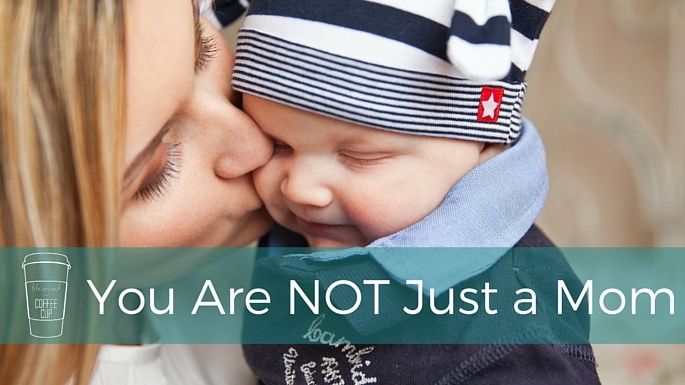 We don’t have to be sorry for where we are on our journey as mothers. God’s redemptive work will not be thwarted because someone else doesn’t see what we do as valuable or as valuable as something else. About a year ago, I was at a real-live grown-up dinner party. Which I almost was looking forward to. But you remember that baby I had that didn’t sleep? I pretty much existed in a fog at that point. And my husband, who was usually my rock for all adult conversations, was staying back to put our little guy to bed in a timely fashion. I totally nailed this party though. I flitted from one group to another to another. Laughing at a joke here. Grabbing an hors d’oeuvre there. I managed to go relatively unnoticed and untalked to for most of the evening. And it was awesome. I got to experience being an adult without actually having to adult myself and I was so winning. Right as I was feeling the droopy eyelids really start, someone at the party realized I was the only one left in the room who hadn’t been the center of attention. So he started a conversation. But the JUST was out there. I knew it and he knew it. So I called him on it. “I’m not JUST a mom.” I said. But that was it. Between the hour of the day and my reality of sleep at that time, all I knew was that he had managed to take a really real part of me and strip away its value with one word. It hurt. It made me feel small. Like what I do all day, every day, day in and day out, through the roughest steel wool patches and the not so rough patches, doesn’t matter. But hear me, it DOES matter. And just because someone else can’t see it or understand it doesn’t make it less true. 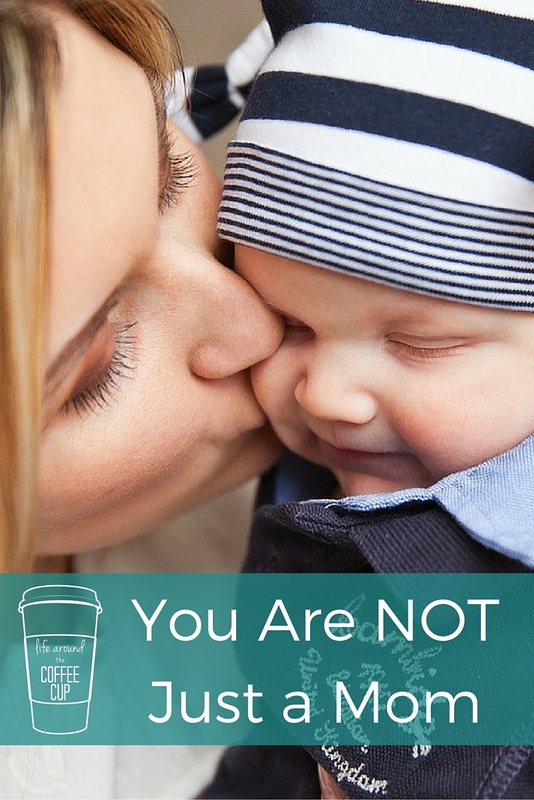 You are not JUST a mom. You, fearfully and wonderfully made YOU, redeemed and lavishly loved YOU.